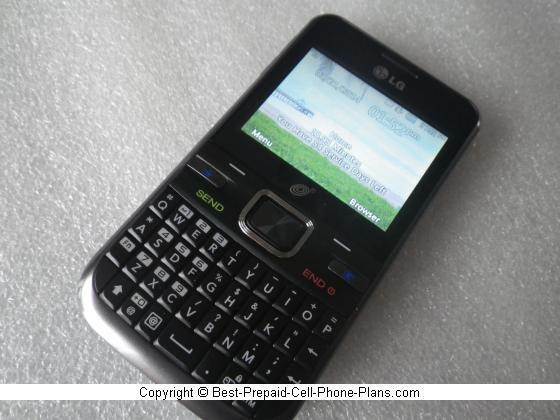 The Tracfone LG 530g is the latest QWERTY keyboard phone with the triple minutes feature . 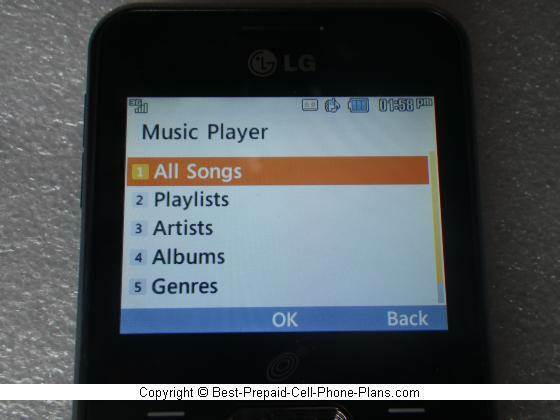 In addition to its keyboard, it also has a 1.3 megapixel camera and mp3 music player. The keyboard itself is wider than its predecessor, the 500g, but not as wide as that of the 900g from Net10. The letter keys were fairly good for composing messages. I did have an issue with the top Nav Key. The phone unlock mechanism requires pressing two keys, and the second key is also the web browser key when the phone is not locked. Therefore, there have been a couple of times where I have accidentally started the web browser. This wasted some airtime (a small amount but still annoying). The screen is wider than it is tall similar to the 900g and unlike the 500g. The menus are pretty good, and you can choose from a couple of different wallpaper. You can also set a picture you take or download as a wallpaper. Text and picture messaging works pretty much as expected. There is no threaded texting however. You can set up most email providers on the LG 530g as long as you have the right info available. For common providers like Yahoo!, you just need your email and password. The 3G web browser is not very useful as it chews up your minutes. For example, I used up about seven minutes of airtime just to load the home page of this site! Unfortunately, there's no WiFi, so you can't even hook the phone up to your local WiFi network at home or out at a coffee shop. If you'd like to be able to do that, look into their Android phones or a WiFi-capable phone such as the Samsung S390G or LG 840g. 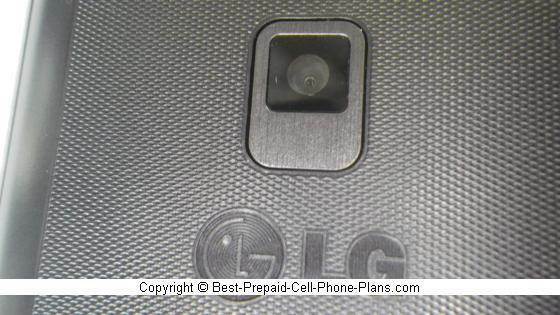 The LG 530g has a basic but useful 1.3 megapixel camera. It seems to take decent pictures both indoors and outside as long as the lighting is good. You can also take videos (320 x 240). 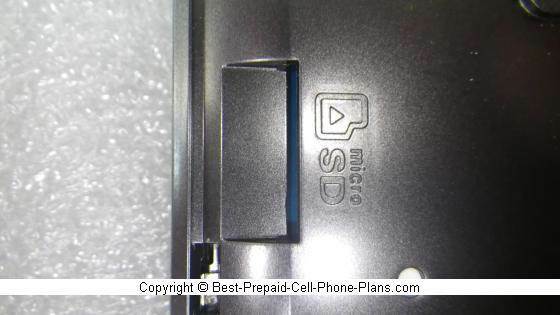 You can store your pictures (and music) in the internal memory or on a microSD memory card. This handset take up to 32 GB cards. You have to remove the back to insert the card. The cool thing is that when you put in the card, you get a pop-up that says that the default storage is being switched to the memory card. This was something you had to set manually in previous models in this line. The music player is pretty standard as well. Once you start up a piece of audio or playlist, you can continue listening while doing other stuff on the phone (other than making calls). So you can compose texts or email and even play games (with the sound off). When a call comes, the music pauses until the call ends and then resumes playing. Demo versions of two games are pre-loaded on the LG 530g: Midnight Pool and a version of the solitaire card game. The pool games seemed pretty cool, however I found the cards on the solitaire game to be a little difficult to view because they were so small, which didn't seem necessary, as the screen is to display the cards at a larger scale. You can load additional Java games and apps as well. If you're looking for a slim, basic QWERTY phone with a camera and music player, and you don't need WiFi connectivity, you should check out this phone. 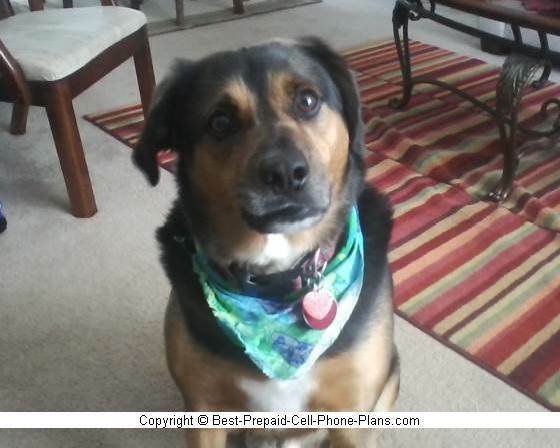 Here are a few options for getting a QWERTY messaging phone without a contract. You could try for the best of both worlds by getting a smartphone with a slide-out keyboard. In that case, the Kyocera Rise from Virgin Mobile is one place to start. 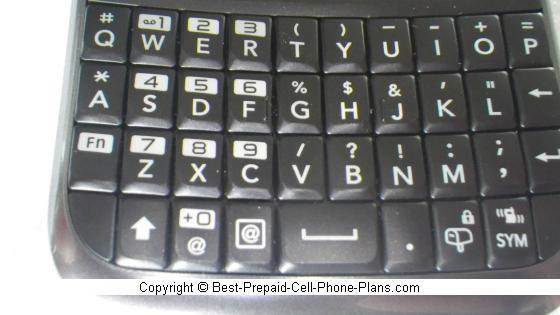 Another option would be a handset with a horizontal keyboard such as the Sparq II from T-Mobile. This phone would also be compatible with plans like Ptel.